RwandAir is currently growing at a 20% rate, having began with just three planes, and now owns a fleet of 11 planes, including the recently acquired state of the art wide body airbuses. John Mirenge, RwandAir’s Chief Executive Officer and President of the African Airlines Association (AFRAA) takes us the journey to the current cerebrated state of Rwanda’s airline. What guides RwandAir’s policy of operation? Our core business is carrying passengers way up at 35,000 or 40,000 feet in the skies. So to be sure that when a plane takes off and lands safely, there are certain things that need to be done that we cannot afford to miss on. Any mistake could lead to catastrophic consequences. We adhere to the best standards the world has set. 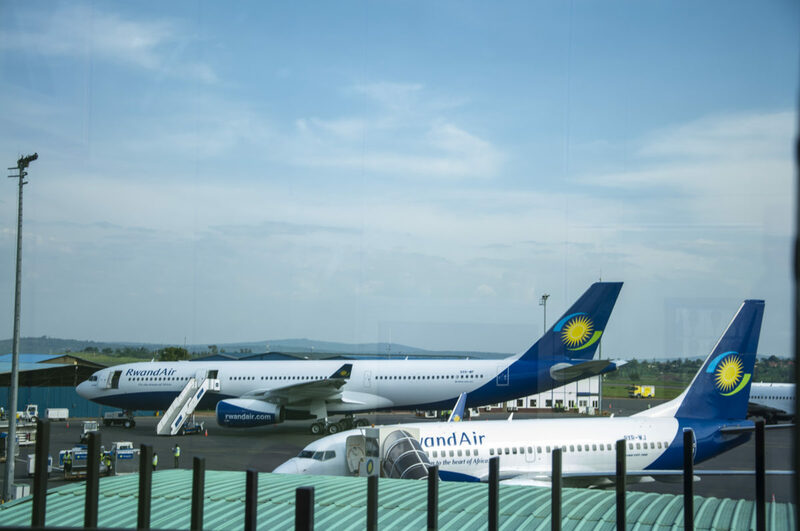 RwandAir is growing at a 20 percent per year, what drives the growth? When you have done all you are supposed to do well, nothing can stop that growth. When you assure your clients of the safety of your airline, the quality of service, that adds up to the growth we are talking about. If we did not do all these checks about six years ago when we started, for sure we would not be here. You have described RwandAir’s investment as a strategic business. How strategic? Rwanda is a landlocked country. 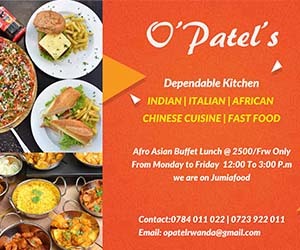 So the investments in RwandAir come to close that gap and open more routes; to connect us to the rest of the world. In line with the Economic Development and Poverty Reduction Strategy II 2013-2018 (EDPRS 2), the service industry has been positioned as the key driver of our economic growth. This means tourism, hotels, and conferences. Those will never happen unless you have a seamless connectivity in and out of the country. And RwandAir comes to address that. When you joined RwandAir as the CEO, the airline was facing enormous challenges. How have you addressed them? The struggle has not eased but, it is a better place to be today than it was then. If you are talking of experience, I didn’t have any local pilots. Today I have 36 local pilots. I didn’t have a single certified engineer on any of the aircraft. Today, I have more than 40, but that doesn’t mean that we are fully sufficient in terms of pilots and engineers. We still employ a number of expatriates. Our fleet has increased from three or four planes, then, to 11 state of the art planes that require the most qualified that the market can offer. In five years, we will have our captains and senior engineers. When I joined, we were operating 6 or 7 destinations; today we are talking about 20 destinations. Challenges are still there but the growth of the airline in terms of fleet, destinations and skills, shows there is potential. Does the acquisition of the wide bodies position you well into competition? Yes it does. With wide bodies, we are capable of reaching destinations that we previously couldn’t. Dubai was the farthest we could go but now we are talking about going to London next year, New York, Mumbai. Where does RwandAir’s financial support come from? The government is the only shareholder for now, with 100% share. The government has been extremely supportive, yet it is a privately run company although we have also been able to access finances from regional and international lenders. Fares are still high in the region. What are you doing about this? We are gradually pulling down our fares. We have since pulled the prices by 40 percent for regional flights. But there are some restrictions, which have hindered us to play our part. There are high taxes and restriction on the number of flights. The airline will begin flights to Harare in Zimbabwe and Mumbai in India on 1st and 3rd April 2017 respectively. The flights to Harare which will be tagged to the existing Lusaka (Zambia) route will be operated daily while the Mumbai flights will be operated non-stop four times per week respectively by our young Bombardier and Boeing Next Generation fleet offering a state of the art dual class cabin. “We are delighted to enable new and seamless connections between more African cities and beyond the continent which goes along with creating more businesses and boost the various countries’ social and economic development”, said Mirenge. The two new destinations will take RwandAir’s growing network to twenty one destinations. The airline will this year launch more destinations including its first long haul flights to London Gatwick in the United Kingdom and New York in the United States of America.